HSCG23-12-D-ATB003, TABSS is a Department of Homeland Security (DHS)-wide Indefinite Delivery, Indefinite Quantity (IDIQ) Multiple Award Contract (MAC) vehicle for DHS to procure technical, acquisition, and business support services. This contract provides DHS customers with services needed to assist with the cross-organizational mission of protecting the Homeland, deterring crime, detecting and countering terrorism, and a myriad of other critical responsibilities. Arranging contracted work under TABSS is an easy and straight forward process that beings with the creation a purchase request (PR) reflecting the required services. This PR is forwarded to the applicable government contracting officer who will prepare a Task Order (TO) Request For Proposal (RFP) and make a determination with regard to small-business set asides considerations. The RFP is then issued and our ISHPI team is eligible to respond to the solicitation. End-2-End Logistics – ISHPI provides insight and advice concerning strategic direction and applicability of up-to-date, industry standard solutions based on in-depth understanding of the latest developments. We provide guidance on the functional procedures, processes, policies, detailed knowledge of Lifecycle Logistic Planning, Process Guides, Integrated Logistic Support, Change Management Processes, Configuration Management Processes and ongoing Modernization efforts throughout DHS and its components. Financial Management Support – ISHPI provides assistance in performing budget formulation, budget execution, analysis billing, and financial tracking services. In addition, ISHPI provides financial control and analysis functions to support all aspects of financial requirements, such as budgetary planning, budget formulation, budget forecasting, investment review, development of funding strategies and earned value management implementation. Acquisition Management Support – ISHPI provides acquisition, procurement and contract administration support assisting acquisition planning, spend rate analysis, contract closeout, service level management, and performance management measures.  This includes contributions in developing statements of work/statements of objectives, acquisition plans, independent government cost estimates, procurement requests, limited source justifications, 508 compliance forms, acquisition checklists, and other documentation required to complete an acquisition within the timeline determined by the program for the specific acquisition action.  Project and Program Management Support – ISHPI provides support to ensure the successful delivery of IT projects and products to all stakeholders, to include the traditional areas of Project Management, Planning, Scheduling, Budgeting, Risk Management, and Procurement. At the Program Management level, ISHPI supports Strategic Planning and Portfolio Execution by outlining and executing the program’s mission, vision, goals, and objectives. Sustainability, Operations and Maintenance – ISHPI engineers and IT specialists have provided complete end-to-end methodologies and services to sustain and modernize legacy systems. Our engineers have reverse-engineered legacy systems to extract business rules, elicited requirements for the modernization solution, and analyzed and recommended implementation alternatives, including COTS and custom solutions for scalability and maintainability. Systems Lifecycle Integration – ISHPI is the expert on System Development Lifecycle (SDLC) Process. Our role is to support and assist in each SDLC phase by providing technical expertise, employing best practices and applying extensive technical expertise to meet each customer’s needs and expectations. In the SDLC Design phase we assist in developing a detailed system design based on the lower level system requirements. Data Management and Storage – ISHPI experts build complex data processing systems and provide innovative solutions to data management problems. We specialize in designing and building complex decision support systems, including data warehouse and data-mart systems. In addition to our decision support expertise, our staff have extensive experience in dashboard reporting, online analytical processing, statistical analysis, forecasting, and data mining. Web Technologies – ISHPI developers have built hundreds of Web applications for Federal Government agencies and understand client needs for responsive design and compliance with mandated guidelines, such as Section 508 requirements and agency-specific protocols for software development and security.